Jenny made this on a cool winter evening…it was delicious! This recipe is featured in our “Between Friends” Cookbook…Available at Adrians. THANK YOU for sharing the recipe Valerie! 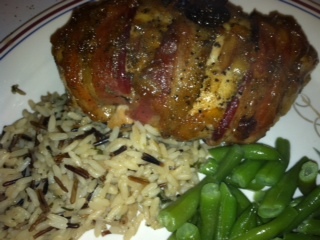 If you’ve got a family favorite, I would love to have you email your recipe to me… vicki@adriansboutique.com THANK YOU! Melt margarine in large saucepan over medium heat. Add onions and sauté until translucent, about 10 minutes. Stir in flour and curry powder and cook 2-3 minutes. Add broth, potatoes, carrots, celery, parsley, and sage and bring to a boil. 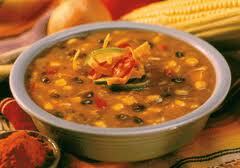 Reduce heat to low and cover and simmer 10 minutes. Add turkey, half & half, and spinach. Cover and continue simmering until heated through, about 7 minutes. Do not boil. Season with salt and pepper. 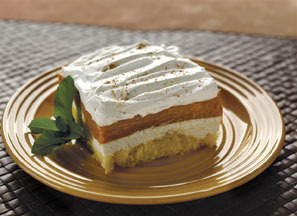 We are featuring this yummy dessert during the Thanksgiving Weekend 2011 at Adrians in Buhler and will be serving it Wednesday, Friday & Saturday. We have served this several times, and it is ALWAYS a hit! This dessert is the perfect end to a heavy meal…nice and light! It takes longer to unwrap the Twinkies than it does to make the dessert! If you’re looking for a fast, easy & light desssert…this is a winner! Enjoy! Slice Twinkies in half lengthwise and place cream side up, in a single layer in a 13 x 9 inch baking dish. Using a mixer, blend together softened cream cheese, powdered sugar, cinnamon, vanilla extract and 1/2 of Cool Whip until smooth. Spread evenly over Twinkies. Next, mix 2 pkg instant vanilla pudding, Caramel Apple Dip Mix, and milk together until well blended. Spread over cream cheese mixture. Cover and let set in the refrigerator for an hour or two until set. Cut into squares and serve with a dollop of remaining Cool Whip on top. Garnish with ground cinnamon. We have also prepared this recipe with the Harvest Pumpkin Dip & Dessert mix…Delicious! We recently had an invitation to visit Darrell & Holly Adrian at their home in Tulsa, OK… Darrell had given me this recipe about a year ago, and our family has enjoyed it, but we had never had the opportunity to taste the “original”… It is delicious! 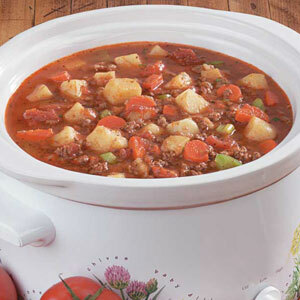 Darrell & Holly have a warm, welcoming home, and we had a great time visiting over bowls of this hearty stew. They served it with corn muffins, and a wonderful Sour Cream Raisin Pie, which I am hoping to get the recipe to share with you all later! (Hint, hint!) Here is the recipe! Add anything else you like! 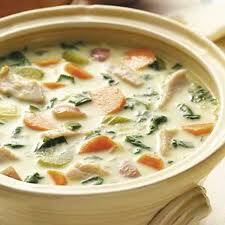 Cut up the vegetables and mix everything into a large crock-pot and let it cook all day. Thank you Darrell & Holly…sounds delicious on a cold, snowy day! Last night was really the first truly “frosty” night here in Kansas, and we had an invitation to Jim & Evelyn McIver’s home for dinner…one of my favorite evening activities, by the way. Evelyn had prepared this delicious soup from a recipe she got from her sister-in-law, Pat Franz. She served it with some fresh, homemade bread and a delicious pumpkin dessert…but the soup was definitely the star of the show! Combine all ingredients in a crock pot. Add chicken last and do not stir too much to break up. Simmer gently for several hours or on low all day. I agree! I’ve made several versions of Chicken Tortilla Soup and this was wonderfully rich! You could top with some shredded cheese, sour cream, avacados or ??? but honestly, it doesn’t need it! Evelyn just served with some crunchy tortilla chips on the side. Wonderful! Thanks much! BBQ Parfaits featuring Roy’s BBQ Pulled Pork! Yum! Adrians Boutique recently served this delicious dish at our “He Hunts…I SHOP Adrians” Event. This should be easy to recreate at your own family gathering or holiday event. Start with great BBQ! We ordered ours from one of the most recognized BBQ Pit Masters in the US…and are so lucky to have Roy’s Hickory Pit BBQ right here in our area! We used 9 oz clear plastic cups, which I think is just about the right size for ladies…you might want to have some larger cups available if you’re feeding hungry guys! Here’s what we did… ordered delicious baked beans and pulled pork from Roy’s. You could certainly do your own version. The potatoes were delicious! (Recipe follows for Marvelous Mashed Potatoes). Scoop baked beans into the bottom of the cup. 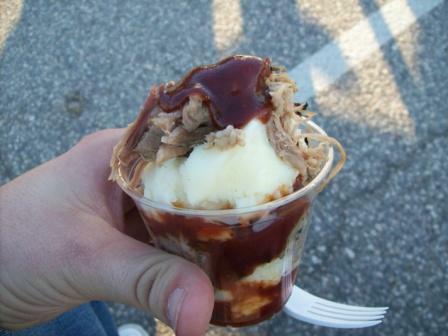 Top with a scoop of Marvelous Mashed Potatoes, then some pulled pork (beef would work well too), then drizzled BBQ sauce over the meat. Next we topped it off with a nice rounded scoop (using our largest ice cream or cookie scoop) of potatoes. Then drizzled with a little more BBQ sauce and garnished it with a little sprinkle of parsley flakes. Serve cup on a plate, or wrapped in a napkin, as it will be really hot! Hope your family enjoys this fun version of a BBQ meal as much as our clients did! Prepare instant mashed potatoes as directed. Add cream cheese, sour cream, butter, garlic, and 3 T. BLT Dip Mix. Stir thoroughly. Place in a slow cooker lined with a disposable crock pot liner. Depending on the time available, heat on low or high until piping hot. This is a great recipe for the holidays, as it eliminates making those mashed potatoes at the last minute and trying to keep them hot. This is a very easy to prepare and fun to serve dish for a family gathering, work party, or event, expecially if it is a come & go style party. They can just help themselves! Please let us know if you have any questions, or comments! We love to hear from our clients!